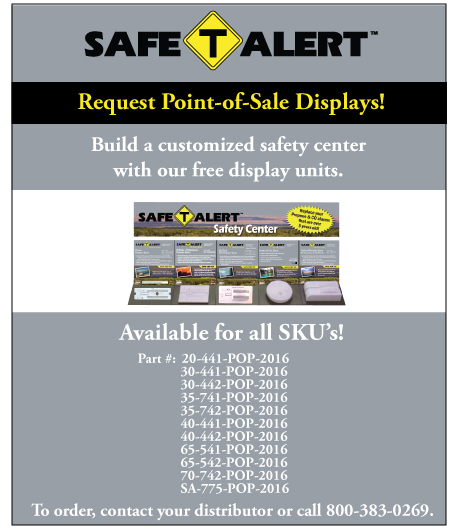 Safe-T-Alert alarms have been trusted to protect RVers since 1987. Our complete line-up of Propane, Carbon Monoxide and Smoke & Fire alarms give customers peace of mind while enjoying their RV with friends and family. Built to withstand the rugged RV environment, Safe-T-Alert alarms are designed to handle the vibration, shock, humidity and extreme temperatures met along the road while conserving battery power. Select a product category below for detailed product information including owners manuals, sell sheets and photos. Download full product brochure.